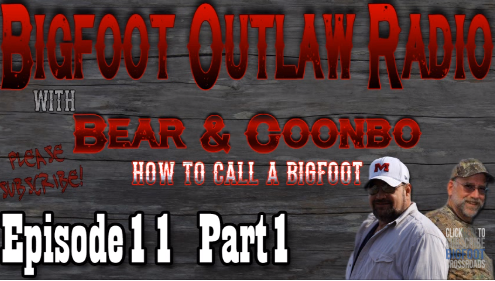 The Bigfoot Outlaw Radio team is back with another Webcast. In this special episode, Coonbo and the crew talk about their particular ways to call in a Bigfoot. It seems that everyone has a different way that they try and communicate with the great beast, so this should be interesting. These guys are always fun to listen to, and have a lot of experience being out in the woods.